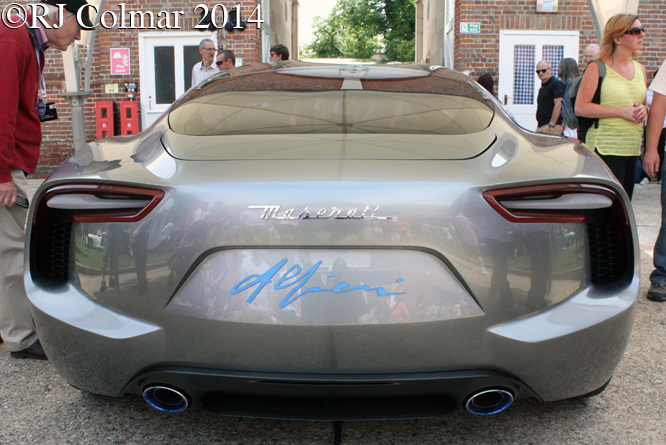 The Maserati Alfieri is a concept car which refers to the history, traditions and roots of the brand while projecting it’s future in Maserati’s centenary in year. 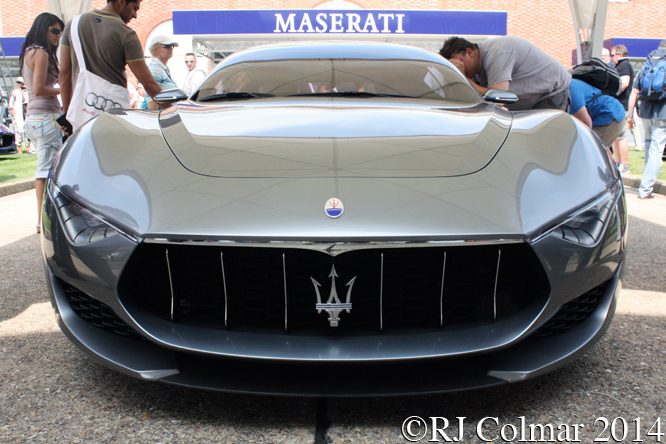 The Alfieri name pays tribute to the engineer Alfieri Maserati who with his brothers Bindo, Carlo, Ettore, and Ernesto founded Societa Anonima Officine Alfieri Maserati in 1914. The underlying inspiration that set the mood of the Centenary Alfieri concept car was the Pininfarina bodied Maserti A6GCS 54. 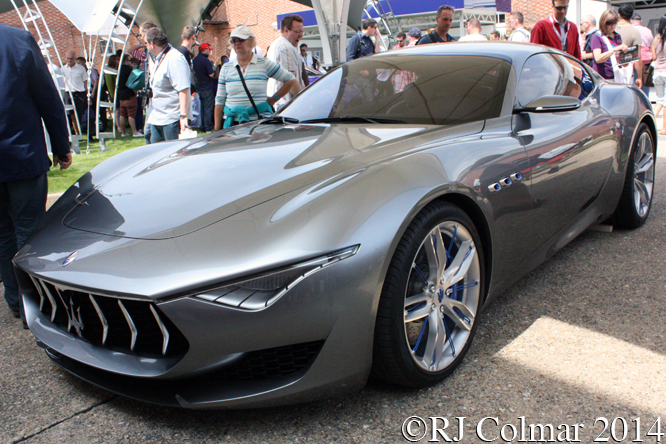 A team of around 15 designers, led by former Pininfarina employee Marco Tencone, was responsible for the styling of the Alfieri. 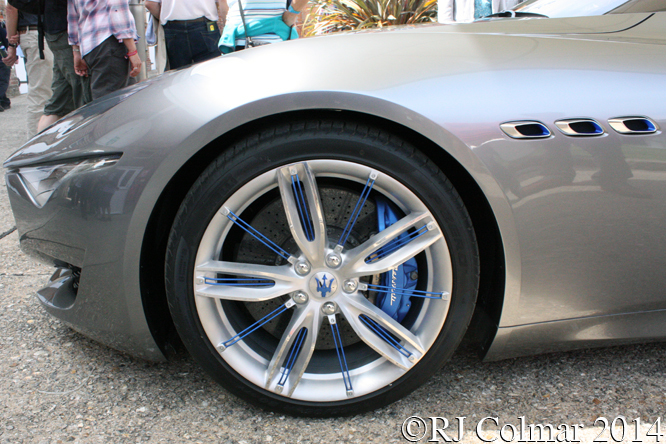 Beneath the Alfieri body work is a chassis based on a shortened Maserati GranTurismo MC Stradale chassis. 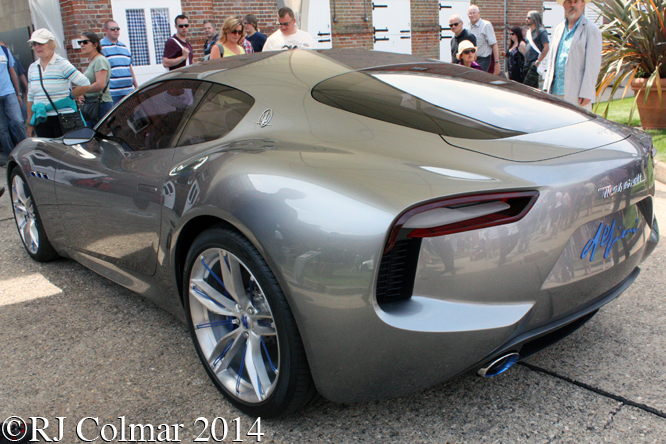 Power for this concept car comes from a Ferrari derived 4.7 litre / 286 cui V8 producing 460 hp. Since it’s first viewing at Geneva earlier this year Maserati have announced plans to put the Alfieri into production for 2016 with a convertible to follow in 2017. Thanks for joining me on this “Sculpture On Wheels” edition of “Gettin’ a li’l psycho on tyres” I hope you will join me again tomorrow. Don’t forget to come back now ! 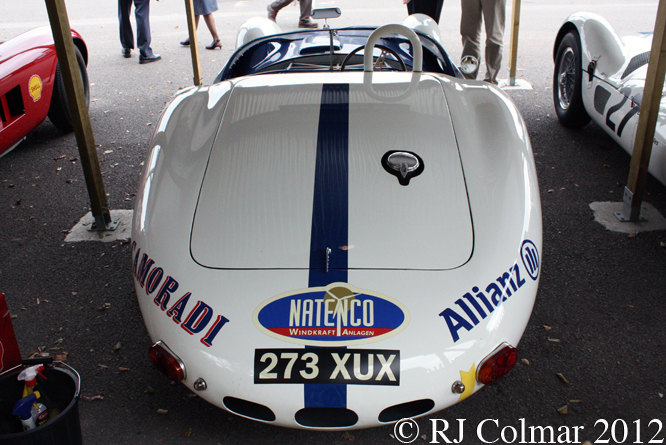 This entry was posted in Uncategorized and tagged A6GCS 54, Alfieri, Colmar, Ferrari, Festival of Speed, Goodwood, GranTurismo MC Stradale, maserati, Pininfarina, Psychoontyres, Ralph, Tencone on December 29, 2014 by Ralph. 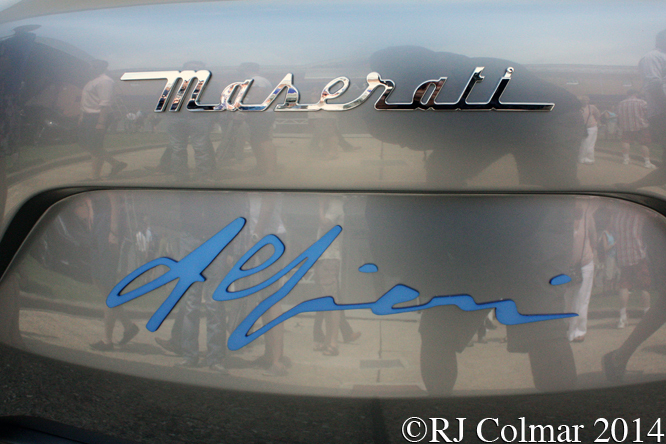 Despite winning the 1957 World Championship Drivers Title, there was no constructors title until 1958, with Juan Manuel Fangio, Maserati was in dire financial trouble at the end of the year and after four sports car were written off in South America the Italian Government had to step in as receiver to save the company. Immediately all motor racing programmes run by the factory were cancelled, but just one year later the case was made for Maserati to resume building racing cars so long as they were paid for and raced by customers. Engineer Gulio Alfieri was given a brief was to build a low cost, competitive, two seater racer, using existing parts stock where possible. 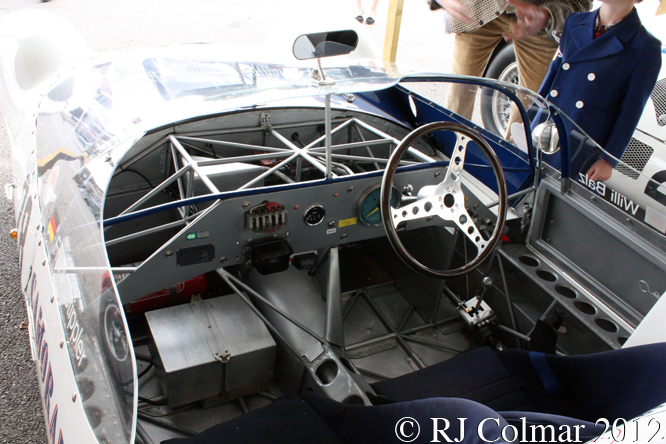 In the absence of sufficient contacts to help him build a monocoque chassis Alfiei devised a space frame Tipo 60 chassis built up from thin tubes with a 2 litre / 122cui 4 cylinder motor that became known as the ‘Birdcage’. 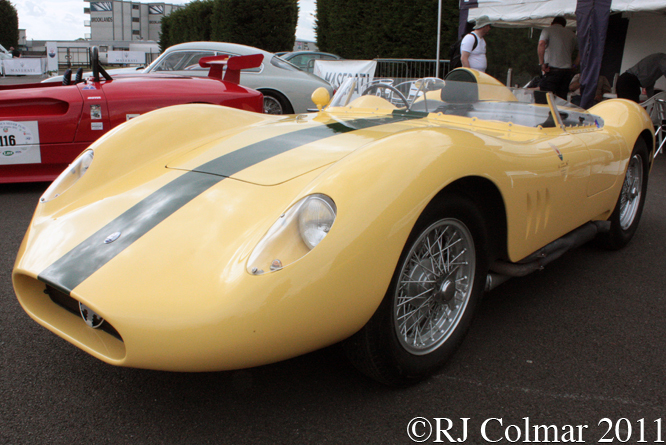 Today’s featured chassis #2451 started life as the prototype Tipo 60 and on the 12th of July 1959 it was driven to a win in the Rouen Grand Prix by Stirling Moss. 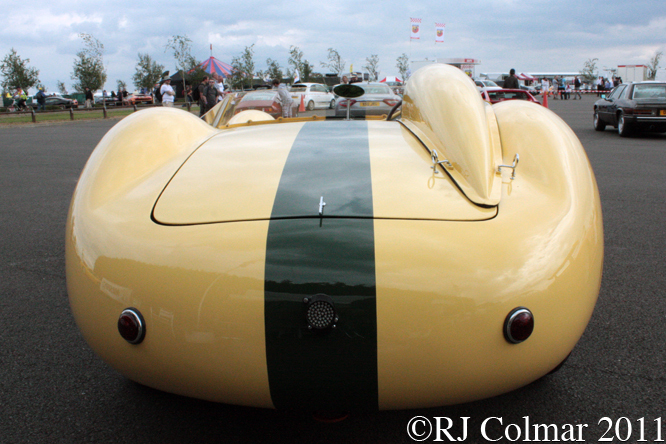 Stirling Moss is said to have been impressed with the ‘rightness’ of the design, the light but precise steering, the totally neutral handling characteristics with the superb brakes also being singled out for praise. Italian hillclimb specialist Odoardo Govoni then drove #2451 to a win on the ‘Pontedecimo-Giovi’ hillclimb on the 20th September 1959, soundly beating the favourite Giorgio Scarlatti’s Ferrari Dino 196S. 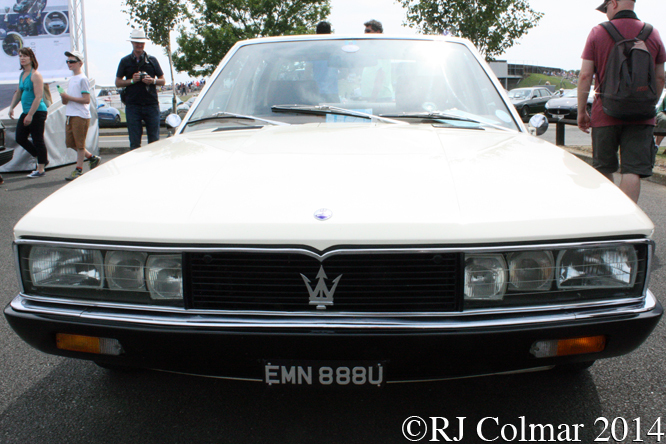 Maserati chairman Omer Orsi authorised the production of six Tipo 60 chassis and it was not long before requests from the US came in for cars fitted with 3 litre / 183 cui motors. 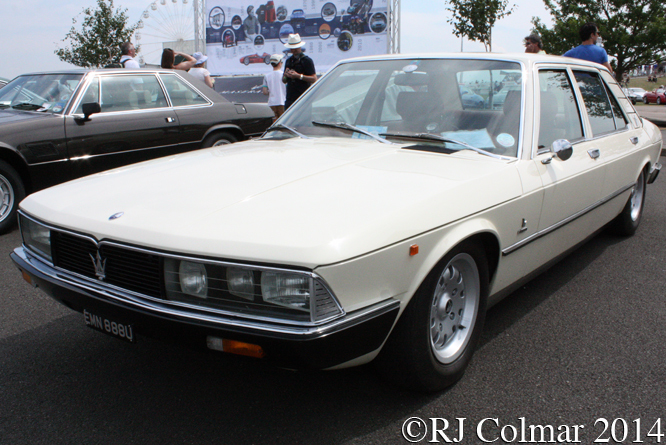 Subsequently Alferi was asked to work on a 3 litre motor and he managed to squeeze one into a Tipo 60 which which then became the Tipo 61 to distinguish the larger engine size. In September 1959 Lloyd Perry ‘Lucky’ Crasner tested a Tipo 60 and immediately ordered two 3 litre cars for his CA-sner MO-tor RA-cinq DI-vision, better known as the Camoradi Racing Team. 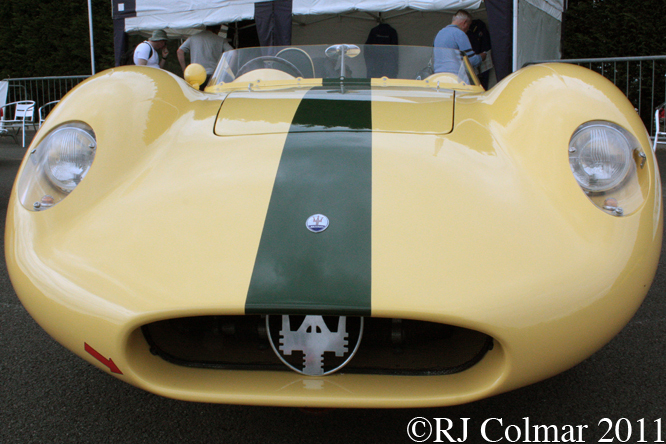 A shortfall in manufacturing capacity left Maserati no alternative but to fit a 4 cylinder 3 litre / 193 cui motor to the prototype chassis #2451 which was then shipped out to Nassau in December 1959 for Dan Gurney, Carroll Shelby and Jo Bonnier to test in preparation for the Nassau Speedweek. Dan claimed a class victory in the Preliminary Governor’s Trophy while Carrol retired from the Nassau Trophy Race after a puncture and then an accident. Dan and Marsten Gregory qualified #2451 2nd for the 1960 1000kms at Buenos Aires but retired with a broken shock absorber mounting bolt after leading comfortably. Carroll Shelby teamed up with Masten to drive #2451 in the Sebring 12 hours but retired with an engine issue. At the Targa Florio #2451 was entered for Umberto Maglioli and Nino Vaccarella who led the race at 3/4 distance only to crash after a rock punctured the fuel tank. 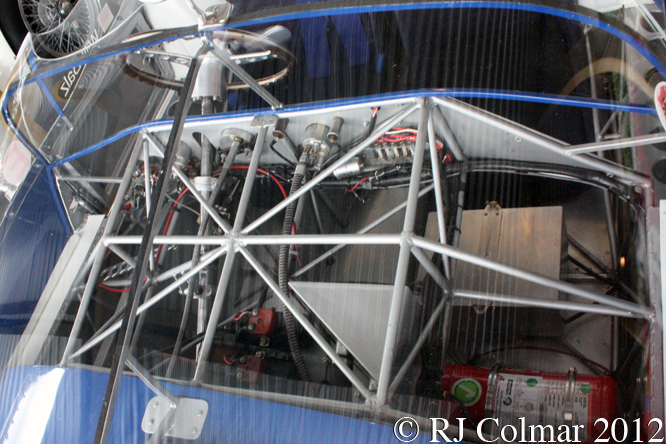 During the subsequent repairs #2451 had a new streamline tail added along with the extreme screen which was designed to meet the Le Mans minimum height screen regulations and minimise the frontal area of the car. 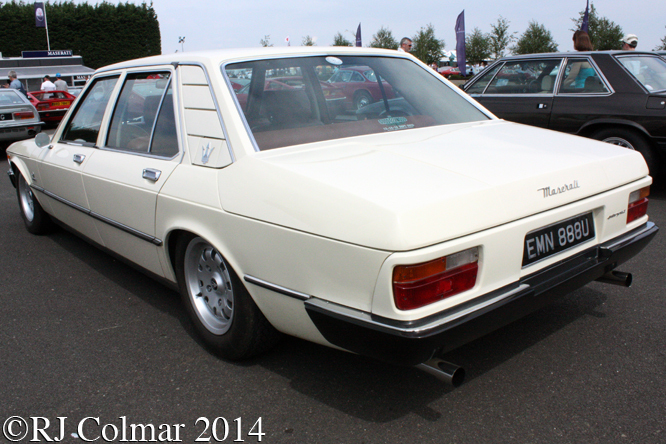 The other 2 Camoradi T61’s had the modified tail fitted for Le Mans, but not the low frontal area screen. #2451 was the fastest car at Le Mans in 1960, after a starting problem saw Marsten cross the start line in 24th place he had recovered the lead by the Mulsanne Corner on the opening lap overtaking 18 vehicles on the Mulsanne Straight. After a couple of hours Marsten handed #2451 over to Chuck Daigh but the car lost an hour with another starter problem. 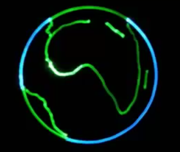 Between the forth and eighth hours Marsten and Chuck had recovered two of their lost laps, but at midnight the car was retired either with a blown motor or an electrical issue depending on which sources one reads. 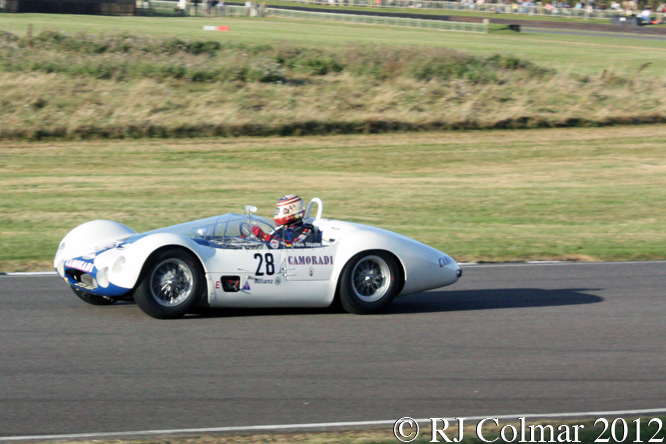 The Le Mans race was the last race of the 1960 World Sportscar Championship season and #2451 was chosen by Camoradi backer Frank Harrison as the car he was promised and wanted to run in the USA. Harrison entered the car for Jim Jeffords who won with it at Road America on July 31st, 1960. In April 1961 Fred Gamble drove #2451 to a class victory at Marlboro . 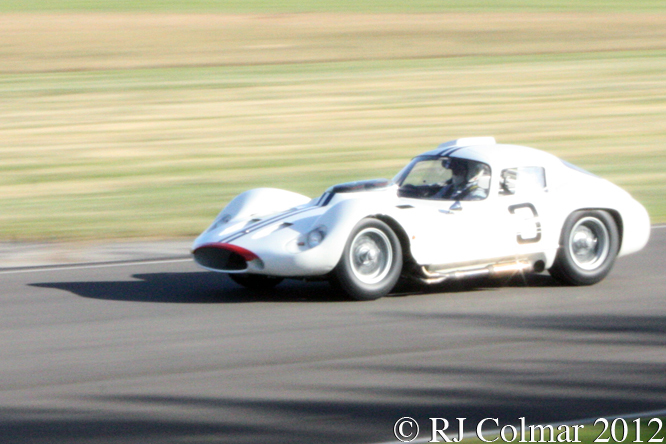 Sources are not conclusive on #2451 being the car that William Kimberly drove to victory for Frank Harrison at Courtland in July 1961. 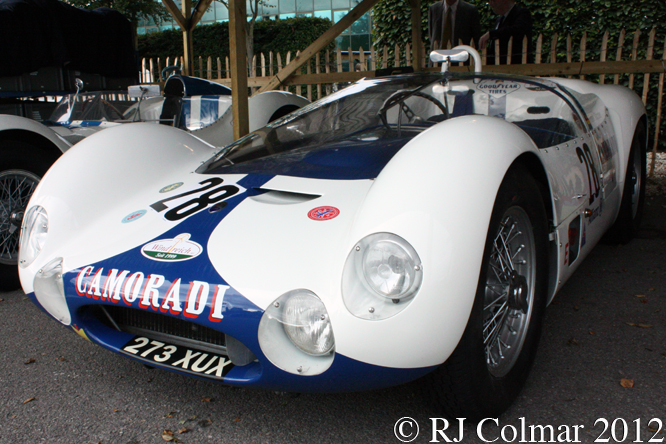 Frank sold #2451 to Don Skogmo, a regular winner aboard a Maserati Tipo 61, who is thought never to have raced #2451. In 1971 #2451 found a new lease of life in the British ‘JCB’ historic championship where it was driven to a championship victory by Brian Joscelyne. 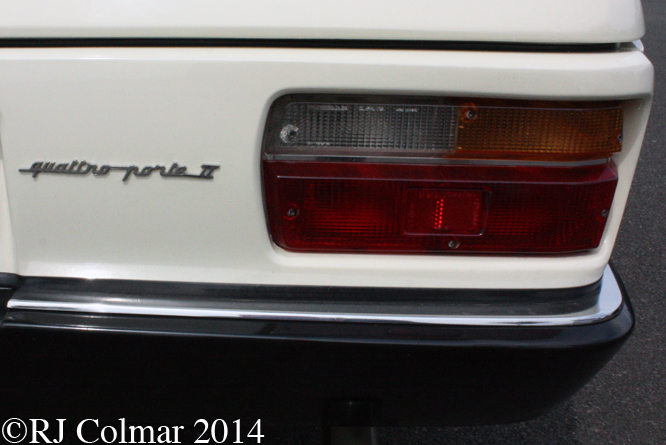 By 1980 #2451 was to be found in the Rosso Bianco collection belonging to Peter Kaus. 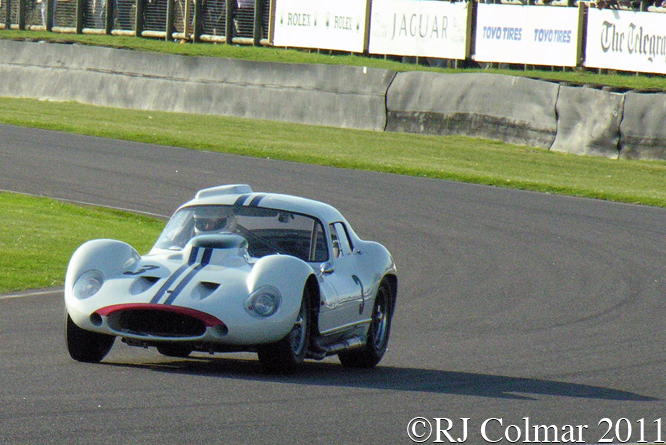 Today the car, which was first registered for UK road use in 2010, is owned by Windpower magnate and Maserati Collector Willi Balz who is seen at the wheel at Goodwood a couple of years ago. Thanks for joining me on this “Birdcage Streamliner” edition of “Gettin’ a li’l psycho on tyres”, I hope you will join me again tomorrow when I’ll be looking at a versatile Talbot that raced at Le Mans in 1939. Don’t forget to come back now ! 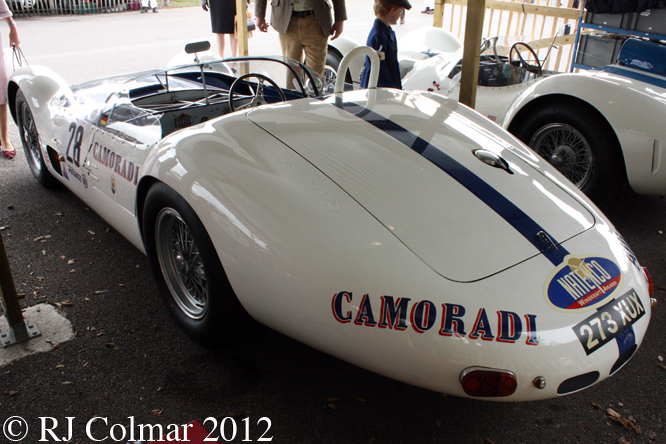 This entry was posted in Uncategorized and tagged Alfieri, Balz, Birdcage, Bonnier, Colmar, Crasner, Daigh, GALPOT, Gamble, Goodwood, Govoni, Gregory, Gurney, Harrison, Jeffords, Joscelyne, Kaus, Maglioli, maserati, Moss, Orsi, Ralph, Revival, Shelby, Skogmo, Streamliner, Tipo 60, Vaccarella on June 9, 2014 by Ralph. Despite setting up a workshop in December 1914 it was not until 1926 that the first car to bear the Maserati name came into being and from what I understand the original Tipo 26 was actually a rebadged 2 litre / 122 cui 8 cylinder Diatta fitted with a 1.5 litre / 91.5 cui 8 cylinder motor all of which had been designed by Alfieri Maserati starting in 1925. It appears that both Diata and Alfieri had been banned from the sport in 1924 after Alferi changed a motor for a an enlarged one in a 1924 Barcelona hillclimb event. Diata were later cleared of any wrong doing, but after a poor showing in the 1925 Italian Grand Prix they decided their future lay else where. 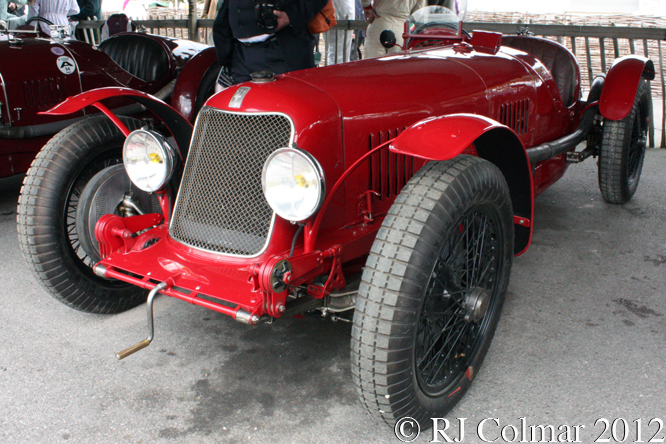 Alfieri drove the original Tipo 26 to victory in the 1926 Targa Florio with riding mechanic Guerino Bertocchi and the Tipo 26 were manufactured mainly for use in competition up until 1932 with a variety of different straight 8 cylinder motors up to 2.8 litres 170 cui. 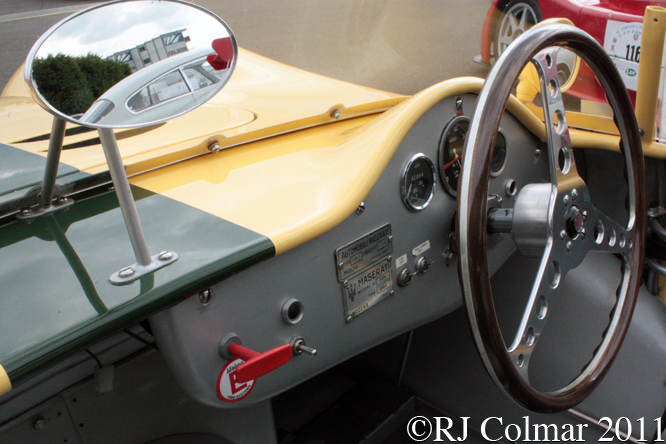 The car featured today is a 1931 26M, 14 type 26M’s were produced from 1930 to 1932 with 2.5 litre / 152 cui 8 cylinder motors all two seaters, some of which were built as open wheel racers and some with cycle wings and lights required for endurance races, like the Targa Florio, were known as 26M Sports. 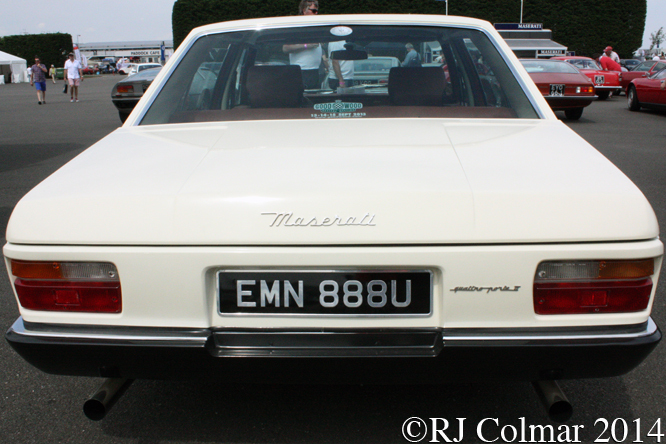 Today’s featured car is fitted with a motor just under 2.8 litre / 170 cui which suggests that is not an original size as the original 2.8 litre 8C 2800 motors were actually 12 cc .7 cui over the 2.8 / 170 cui size. No further history is known about this particular car seen at Goodwood Revival a couple of years ago, if you know any of it’s history please do not hesitate to chime in below. Thanks for joining me on this Early Years edition of “Gettin’ a li’l psycho on tyres”, I hope you will join me again tomorrow, don’t forget to come back now ! 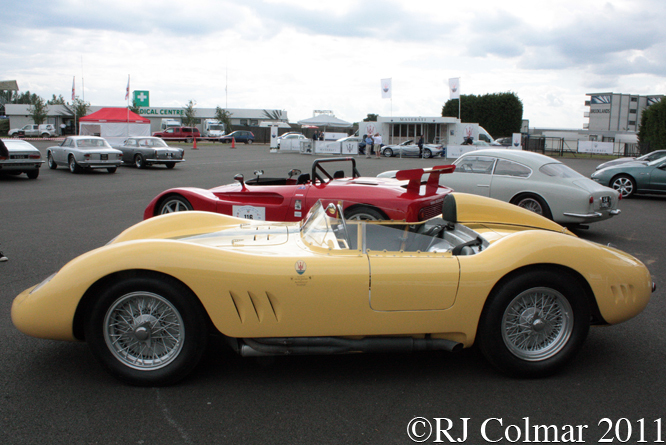 This entry was posted in Uncategorized and tagged 26M, Alfieri, Bertocchi, Colmar, Diatta, Goodwood Revival, maserati, Ralph, Sport on April 7, 2014 by Ralph.